Land on the island of SOL but choose your side: Adventurers or Conquistadors? Only one of the two teams will find the Idol of the Sun God, but above all, will manage to bring it back safely to his boat. In this action point system-based adventure game, players put their characters' special abilities and abilities to the service of their team to explore the island, search for clues to the treasure position, and fight the characters of the opposing camp. SOL works very well from 2 players, but it has the distinction of being able to gather up to 8 players for fun, rhythmic, and light adventures, all in less than an hour. In SOL, two teams of 3 or 4 characters each face each other to seize the Idol of the Sun God: Adventurers against Conquistadors. At the beginning of the game, the players are divided freely between the two camps and choose from among the 7 unique characters that make up their team, which they will embody for this part. 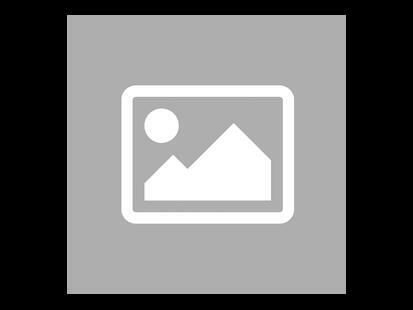 Move your cursor over the image to stop scrolling. The many combinations and oppositions possible with these 14 characters guarantee the players varied sensations from one part to another. Do you prefer a fast fighter to challenge the enemy on the front line? An explorer with an agile foot? Or a more talented character to search the island, far from the clashes, and unravel the mysteries of the location of the treasure? During the game, each time you find a hint token during a search, your team can influence the position of the Idol of the Sun God by playing an Index card. Playing cards, some face-down, others face-up, indicate the characteristics of the temple that hides the coveted Idol. When the 7th card is played, they are all revealed, and majorities of symbols designate the temple in which the treasure appears. You'll have to bluff to keep your intentions secret, but also be smart enough to make sure the treasure appears in a place that's good for your team. The appearance of the treasure launches the final pursuit race! The camp that first manages to escape the island by boat with Idol, wins the game. Be supportive and make the right decisions to bring victory to your team! 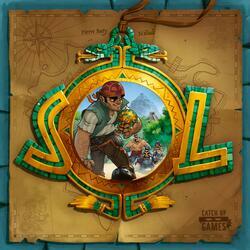 SOL is an adventure game for 2-8 players, from age 10, for 45-minute games.